I attach a submission to your Joint Committee. It explains the origin of our campaign, FISHING FOR JOBS, which is now supported in every fishery harbour centre in Ireland. In recent months, we have secured the support of our local TDs, addressed parliamentarians in Brussels and discussed our situation in person with Commissioner Damanaki. We know, too, that all the political parties represented in the Dáil have each been briefed repeatedly in recent years on the root of a persistent problem that none has seemed willing to confront but which everyone agrees is yours to call to account. The root of this problem is mismanagement by the Department of Agriculture, Fisheries & Food – in our case, mismanagement of onshore resources. We raise this issue yet again, with current examples, because the indifference and poor stewardship of the Division is making the coastal economic situation of our country worse when it could be making things better. Jobs are being lost when new ones could be created. As we conclude a grim and damaging year, I can think of no worse, bureaucratic irresponsibility. The solutions are national: things we can put right ourselves. It is also in the ‘Programme for Government’ that they be resolved. Would you please raise our submission with your Committee, therefore, as a matter of urgency? Thank you – and may the year ahead bring long overdue reform to the management of Ireland’s coastal resources and accountability for the revenues being lost there. The FISHING FOR JOBS campaign was set up in early 2011 by two Irish business men, Seán Doran of Howth and John Shine of Killybegs. We are both former fishermen, with wide experience of the industry at sea, and have since run successful businesses onshore in harbours managed or otherwise controlled by the Department of Agriculture, Fisheries & Food. We employ over 50 people between us and have 65 years aggregate experience of this industry. We have found it increasingly difficult, however, if not ultimately impossible, to operate our businesses under the structures imposed by the Department. We thought them unrealistic and unworkable – inimical to business growth and local employment. We were not alone. Our campaign has steadily won support around the fishery harbour centres where other businessmen share our experiences. In March 2011, we became aware of three separate reports commissioned earlier by the Department. Clearly, the Government itself has shared our concern at the value gained from public management of its harbor resources. These reports identified exactly the same range of problems that we were unable to work under. On accessing two of the reports, ‘McIver’ and ‘Kevin Bonner’ (2007 and 2008, respectively), we discovered that the Fisheries Division had not apparently actioned any of the findings and recommendations. Lack of action by the Division to consultant reports commissioned by the Department is why many of the fishery harbour centres are in such an advanced state of commercial desolation and social decline. In the McIver report, particularly, there is a reference to the brain drain in remote fishing communities if action was not taken promptly. The exodus of skills and expertise is now well advanced in remote ports such as Killybegs, Castletown, Ros an Mhíl, Dingle and Dunmore – because the route map of actions needed to diversify away from over-dependence on fishing as the primary source of employment was never followed. We in FISHING FOR JOBS are completely comfortable with the prescriptions of those route maps. They were sensible, timely and relevant to the communities they described. But we have to tell you that few residents and businessmen there had heard of the reports and their recommendations until we brought them to wide local attention. It is as if the Department buried the results. Not even the Fisheries Minister of the previous Government, Sean Connick had heard of them. Our advice to you is that official failure to implement actions recommended in reports paid for by public money has cost the country dearly in social and economic terms. This failure is either public sector negligence or public sector indifference, perhaps both. Whichever, we urge you, in your capacity as Chairman of the appropriate Oireachtas Joint Committee, to call it to account. If the reports we refer to were ‘buried’ deliberately – that is, purposefully withheld from the responsible Ministers – then some greater culpability also obtains among officials presumed still to be serving somewhere in the Department. And the fishing industry everywhere in Ireland urges you to investigate that, too. Not correcting what has happened will cause irreversible decline in fishery harbour centres, if it is not already too late to prevent it. Failure to expose where blame lies will be to acquiesce in an agenda pursued by people who are neither identified, lawfully empowered, nor democratically accountable. The harbour charges to use the boat lifts have been flagged as a major problem. The Department charges far too much and, perversely, they follow a system completely at odds with commercial practice. Normally, the rate charged reduces the longer the service is required. In our fishery harbor centres, however, the opposite happens: week one costs €100 per day, week two €200 per day and after 20 days on the slip the cost rises to €400 per day. It follows that boatyards pricing larger, substantial and obviously lucrative jobs on boats that need the slip for 3months or more are totally uncompetitive. The boatyard in Howth went 21 days this summer without any boats using the facility. These lifts should be working 24 hours per day because we are an Island nation with thousands of boats to service. Instead of business staying here, however, boats from all over Ireland are travelling to Northern Ireland, Scotland and Dutch ports to get their work done. The McIver report has flagged this problem 3 years ago and yet there has been no corrective action taken. 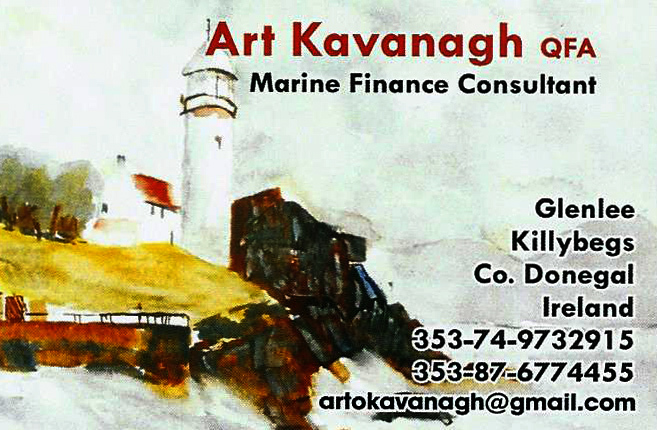 In April 2011, a local shipping company in Killybegs contacted the Department to negotiate a rate to bring some Dutch freezer trawlers into Killybegs to trans-ship fish to a larger freezer ship. This three day operation would have generated €21K in fees to the Department and over €100K in spent in the local economy. This project never went ahead because the shipping company could not secure the Department’s cooperation. It is worth pointing out that no-one will use the port of Killybegs until it is run like a business. Dutch factory ships would use it if conditions were right. Instead, Dutch trawlers find it more attractive to steam back to Ijmuiden, Holland (7 days round trip ,7 days fuel,7 days food for 40 crew) rather than struggle with bureaucracy here. If these three Dutch trawlers could use Killybegs harbour just ten times a year how many jobs would this create in the local economy? 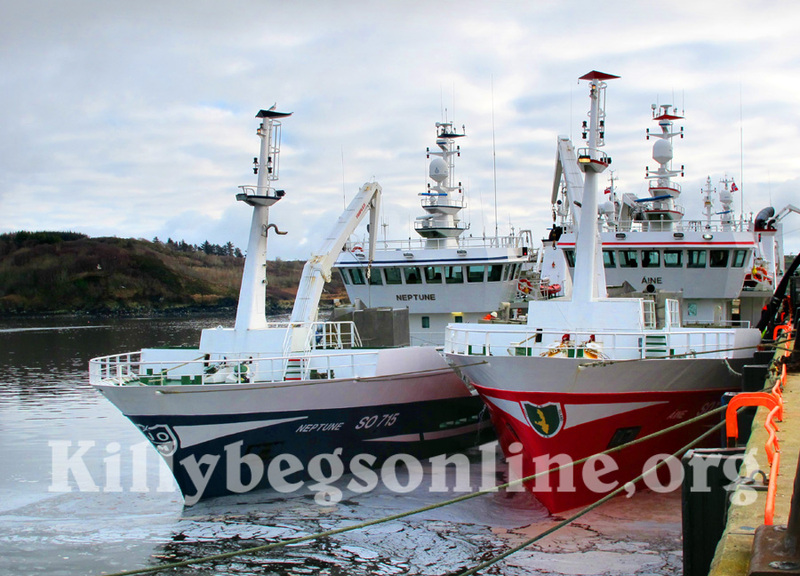 In Killybegs, the Auction Hall on the main town pier has not held a fish auction for around 10 years. This central, high profile, large property could be used to hold Farmers Markets or other events and trading activities. In fact, it is used to store unwanted furniture. This is what the Department does: it puts old furniture in a space ideal for local enterprise development. This would not happen in the private sector which you, as a working farmer, know full well. The new pier in Killybegs cost €52M but it has delivered scarcely anything for either the town or the exchequer in terms of employment or revenue. The sites on this pier were advertised for rent 7 years ago. Local business people applied to lease these sites but none of the sites have been rented to date. Surely this tells you something, doesn’t it? The Marina site was granted planning permission 6 years ago but never advanced because of the terms and conditions imposed on the developer by the Department. These served to frustrate the prospect of any successful marina, with all the small enterprises it would sustain, and not facilitate it. The rent alone was €125,000 per annum. The rent demanded for the Killybegs Ice Plant is €14,000 per annum. Compare that with the Ice Plant in Howth which is €3,400 per annum. Both are similar facilities. Think now about the proximity of the Howth Ice Plant to the adjacent markets of Dublin, which total over 1.5 million people and have national stadiums, airports, ferry terminals, theaters, restaurants and so on in abundance. Drive one hour from Killybegs and you will have enjoyed the finest unspoiled countryside in all of Ireland. Donegal may feed the soul better than Dublin but how is it to generate a four times greater rent? The tenant of the Howth Ice Plant is applying for planning to redevelop the property. He will create 6 new F/T jobs and up to 10 short term jobs for local trades men involved in the project. The redevelopment will generate rates for Fingal County Council, rent for the Division, VAT, PRSI, PAYE and USC, in addition to supporting the retention of other jobs in the area. A redeveloped Ice Plant will also make the town more tourist-friendly and demonstrate that it is possible for State bodies to work successfully in harmony with the private sector. The situation in Killybegs is quite different. The Ice Plant tenant there has secured full planning to redevelop this property, has 100% bank backing and could create 4 to 6 fulltime jobs. Unfortunately, the Department will neither countenance a rent in line with market conditions nor give the tenant a bankable lease. As a result, this lease has fallen into arrears and the tenancy will close. 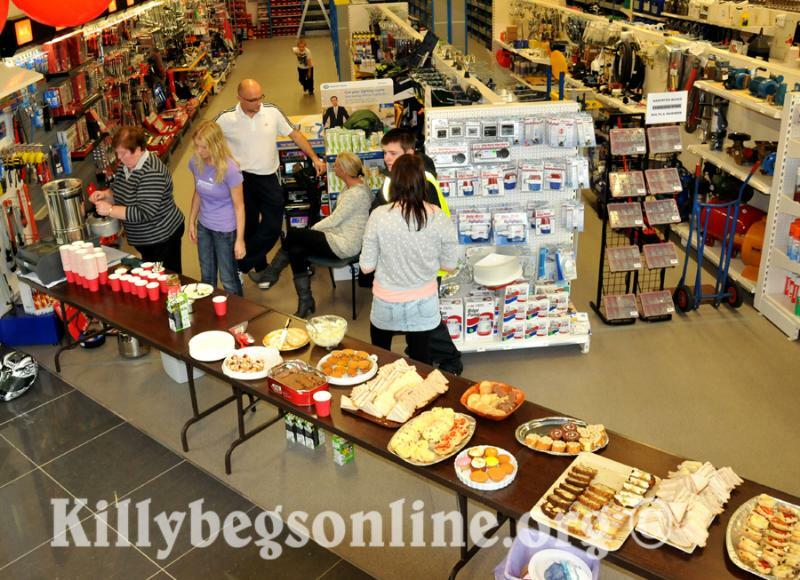 The consequential losses to the Donegal economy do not need to be elaborated. Donegal has the highest rate of unemployment in the country. It merits deep reflection, therefore, that the Ice Plant tenant in Killybegs has invested €300k in the property to date – a structural reward that will now revert undeservedly to the Department while Donegal’s economy loses yet another trading business. Is it right that the State can do this? Remember: the Killybegs Ice Plant was a derelict single story ice plant when the state rented it out first; today, it is a modern two story building with the benefit of all the planning secured from Donegal County Council at the tenant’s expense. In Howth, a property on the pier has been handed a 250% increase in rent from €30K per year to €80K. The increase was backdated 3 years and the tenant was simultan-eously handed a bill for arrears for €150K. Tenants in Castletown have been given rent increases of 100% plus. This way of doing business is putting people off the idea of investing in these remote areas. Trading conditions are fragile enough without high rents, high-handedness and similar indifference to local market conditions. There is a deeply significant implication to such a flawed approach to public responsibility. And the leadership and insight provided by our new President, Michael D Higgins (in his speeches reported in Reviewing the Republic, 2011), justify our raising it. There are echoes, in what we have reported to you, of the historical struggle to carve out our State and of the historic truth that Irish tenants fought successfully for fair rent, the right to renew and the right to profit from improvements. It is incomprehensible that, in 2011, tenants of the Irish State are begging our own elected representatives to respect those same rights. It is wholly inequitable that tenants in the private sector have these rights. And it is grossly offensive to Irish citizens that, once the Killybegs Ice Plant is recovered by the State, it will be re-advertised for letting on the terms and conditions requested by the current tenant to keep him in business. If both the historical and the historic echoes are recognized by the Committee, as we fully expect they will be, its Members will also doubtless recall that other great lesson of the 19th century that followed eviction – the boycott. That is the greater significance of the deepening dissent we are bringing to your attention. Action to address deterioration will restore hope and wil calm the growing anger in our harbour centres. Failure to act will inch us closer to risks that none of us want to see repeated. 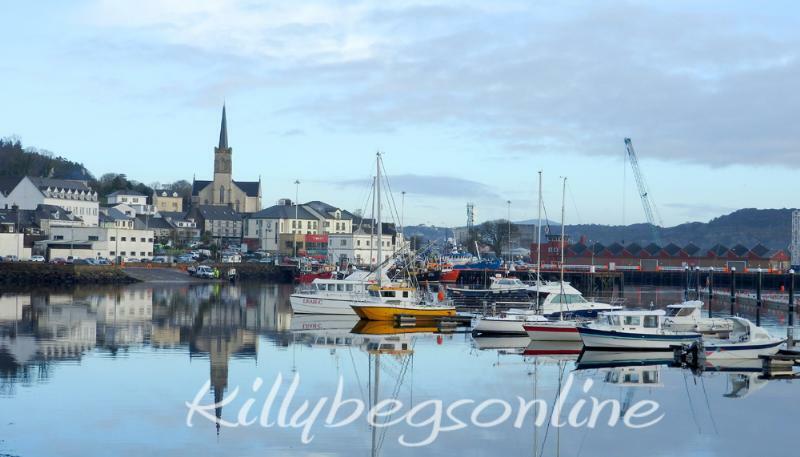 Minister Coveney, on his last trip to Killybegs, set up a jobs task force to look at creating jobs in Killybegs. 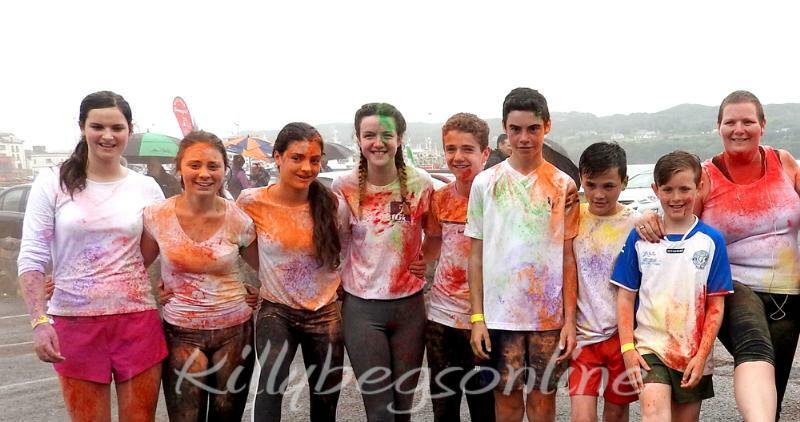 In its report, this task force identified 50 jobs in the marine leisure sector in Killybegs. This beggars belief because the task force never spoke to the developers of the Killybegs marina. This project is the biggest marine leisure project in the whole north west of Ireland but has been stalled for 7 years because of unrealistic terms and conditions imposed on the project by the Department. We are awash with bureaucratically convenient reports identifying jobs here and jobs there – but we need action faster than bureaucratic convenience can provide. The biggest impediment to job creation in Killybegs and other coastal communities is the Sate. Private enterprise is not welcome. Furthermore, the Department which has presided over the disaster in our fishing ports is now part of the same task force investigating what they themselves have presided over. The jobs task force report, published in November by Minister Coveney, did an excellent job concealing ‘the elephant in the room’. Every other investigation could see the elephant – but not, it seems, this Government. Putting a top Department official on this task force was always going to deliver a distorted picture and conceal the problem. And what we have instead is a total farce devised by the Department to create a smoke screen to cover up public pressure generated by FISHING FOR JOBS. Your Committee must understand that this task force initiative has no credibility whatsoever among those who work in the industry. In contrast with the Minister’s flawed and prejudiced approach, the implementation of the McIver report would be cost neutral to the exchequer and instantly beneficial to the local coastal economy. Our campaign is willing to work with any group or body that will take that route to delivering jobs. We are willing to invest our time and money immediately if the right conditions are created to unlock economic activity. We are not looking for money or handouts – all we want is fair play. Fair play means reduced rents, reduced slipping fees and reduced port handling fees. In return, we will deliver jobs. We have members in the six fishery harbours and many other coastal communities waiting for the right conditions to create jobs. We are all willing to give our time to work with your Committee on policies that will deliver jobs. This would be a win/win situation for the local economy and for the Department. Our country would benefit, too.